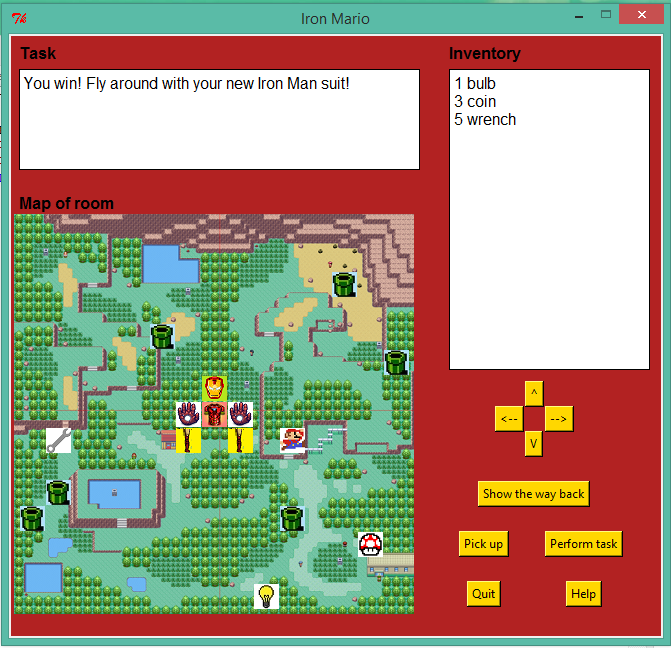 The above screen is the openning screen of the game. 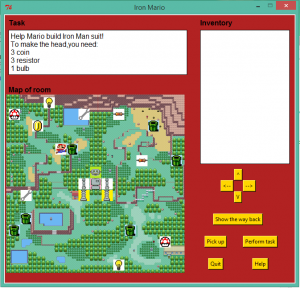 The rule is that player use arrow button to move Mario around the map, collect items to inventory and use those item to perform tasks.When Mario step on a pipe, he is teleported to a new map with more items. When got lost player can click “show the way back” button. 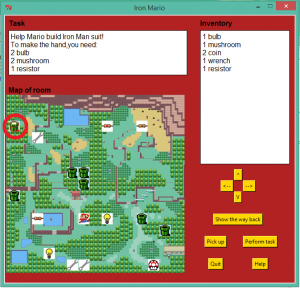 The portal that Mario last entered will change color and player can use that to come back to main map. 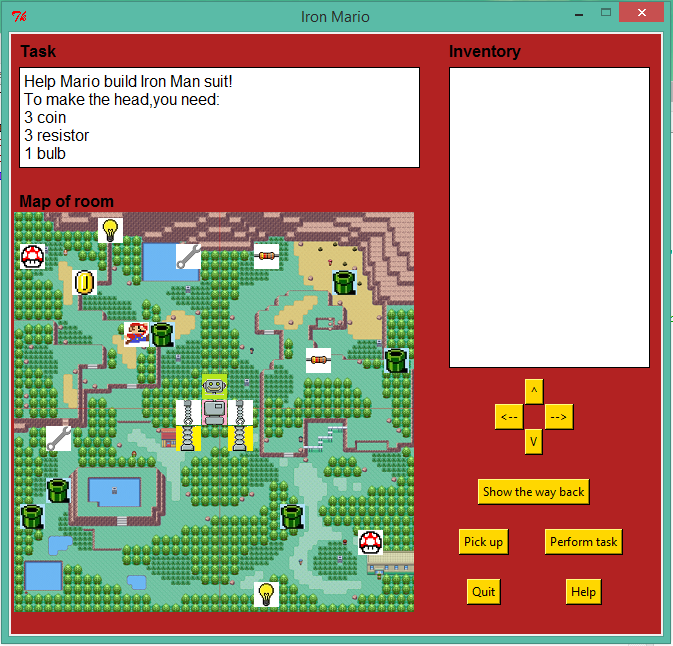 When player collect enough item for a task, he/she can hover Mario above the part needed to fix and click “Perform Task”, the robot part will turn into Iron Man part. 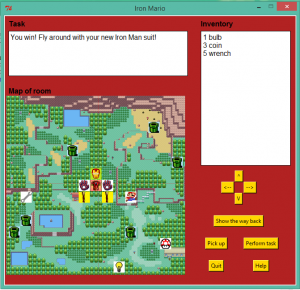 The picture above show the finished game with the whole Iron Man suit appeared.